Business intelligence (BI) is an umbrella term for data analysis techniques, applications and practices used to support the decision-making processes in business. The term was proposed by Howard Dresner in 1989 and became widespread in the late 1990s. Business intelligence assists business owners in making important decisions based on their business data. Rather than directly telling business owners what to do, business intelligence allows them to analyze the data they have to understand trends and get insights, thus scaffolding the decision-making process. 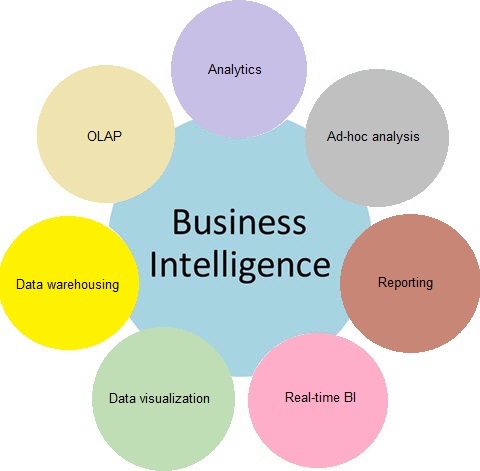 BI includes a wide variety of techniques and tools for data analytics, including tools for ad-hoc analytics and reporting, OLAP tools, real-time business intelligence, SaaS BI, etc. Another important area of BI is data visualization software, dashboards, and scorecards. OLAP (online analytical processing) is sometimes used as a synonym of business intelligence. However, it is not correct - it could be better described a function of BI software that enables a user to extract and view data from different viewpoints. It represents data in a multidimensional form, which makes it convenient for analysts and other business users to analyze numeric values from different perspectives. 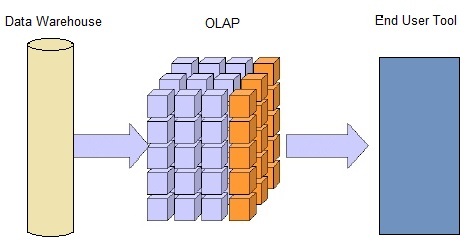 OLAP is good for storing, extracting and analyzing large amounts of data. Business intelligence specialists are able to analyze data accumulated over a long period of time, which enables more precise results and better forecasting. The architecture of OLAP systems allows fast access to the data as they typically pre-aggregate data. OLAP provides wide opportunities for data slicing and dicing, drill down/up/through, which helps analysts narrow down the data used for BI analysis and reporting. OLAP systems usually have intuitive and easy-to-use interfaces, which allows nontechnical users to analyze data and generate reports without involving IT department. Also, OLAP dimension uses familiar business terms so that employees don't have to receive any additional training. We can say that OLAP occupies a place between a data warehouse and end-user tools in BI, thus allowing users to get the data they need in a fast and efficient way.